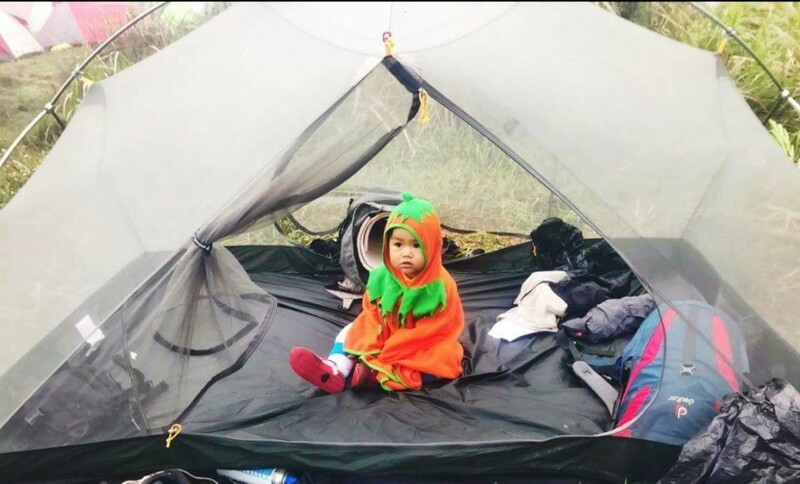 Meet Baby Basti, the one-year old who has reached Mt. Apo! People travel to see the world, to escape their life’s worries, to pursue adventures, to meet new people, or to simply enjoy the scenery. We see a number of people of different ages, from young to old, travel as solo backpackers or as groups of friends or family. But seldom do we see a baby, with his family, not only travel to the beaches, cities, and lakes, but to mountaintops. Enter Sebastian Miguel Sarande, known as Basti to most who has been travelling with his family since he was 4 months old. Born on September 19, 2015, Basti has been enjoying numerous scenic destinations around the Philippines for more than a year now. Basti’s parents, Rhodel D. Sarande and Mijera B. Sarande, are true adventurers. They have always loved traveling even at a young age. That’s why Basti became part of that adventure. Basti’s journey to see the world with his family started through the beauty of Camiguin Island when he was 8 mothns old. 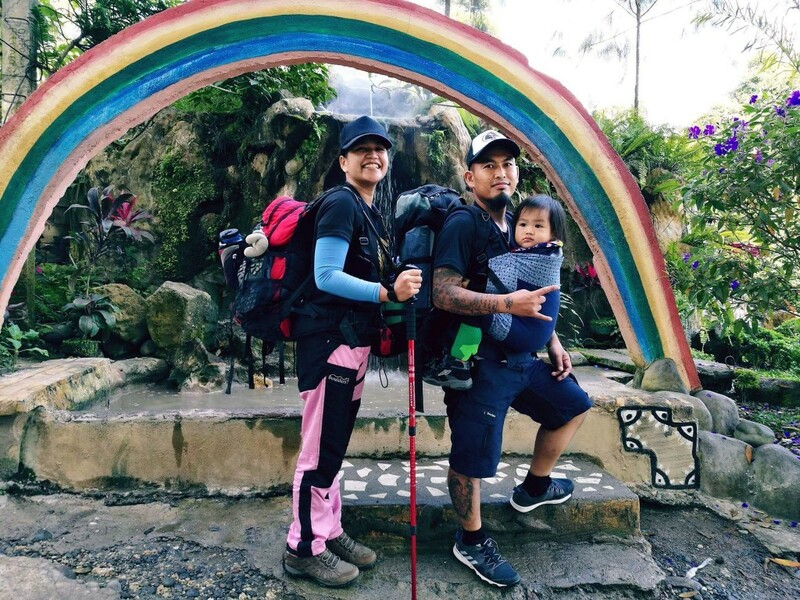 Realizing that Basti enjoys the wonders of nature, his parents started touring him around the Philippines going to different provinces such as the Mountain Province, Benguet, Iloilo, Negros Island, Davao, Cebu, Misamis, Zamboanga, Saranggani, Camiguin and Caraga. 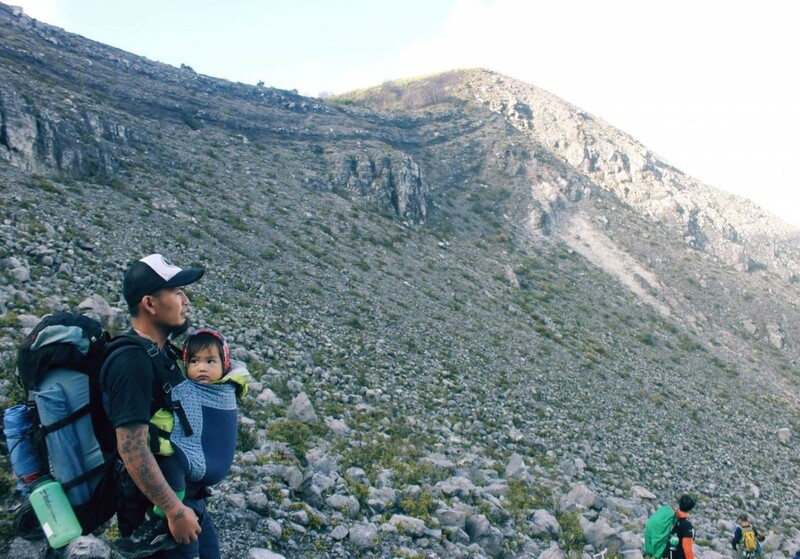 Seeing hiking not as a risk to their baby but as an opportunity to discover and develop his skills at an early age, his parents decided to take Basti on his first climb to Mt. Ulap on December 19, 2016, when he was just 1 year and 3 months old. That experience cemented their bond as a family: now knowing that they can go to any place together and see the world without boundaries. Basti has climbed a total of 4 mountains (Mt. Ulap, Itogon Benguet – December 19, 2016 day hike; Mt. Talinis, Negros Island province – February 24-25, 2017 a 2-day 1-night trek; Mt. Maniayao, Tubod, Surigao del Norte – March and April 2017; and Mt. Hibok-hibok, Camiguin island – March 28, 2017) as training peaks before climbing Mount Apo as his 5th. With each one, he has enjoyed and succeeded in reaching the summits. These experiences are not without difficulties, of course, as with any adventures people experience in their life. Their climb to Mt Hibok-Hibok last March 28, 2017 was greeted with impending low pressure area and a fever. This made his parents worried about his safety. Basti succeeded, nevertheless, and finished that adventure with a joyous smile in his face. He also climbed Mt. Apo, his most recent and most challenging climb yet. The 3-day expedition to Mt. 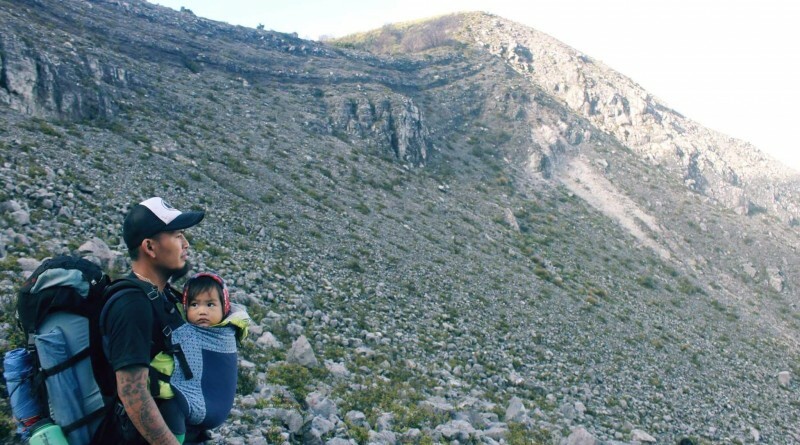 Apo with his family was no easy feat; he had to face the highest mountain known for its unpredictable weather and thinning air as you get closer to the summit. He braved these challenges and crossed out another mountain off his list. All the challenges he has faced shows that he is a true adventurer: not giving up and only growing stronger through time. Basti can now climb without always being held by his parents. He can sleep soundly throughout the night during a climb. He has become a sociable person: greeting travelers who see an amazing child like him challenge the difficulties the mountains offer. He even picks up new words from different people he meets along the trail. 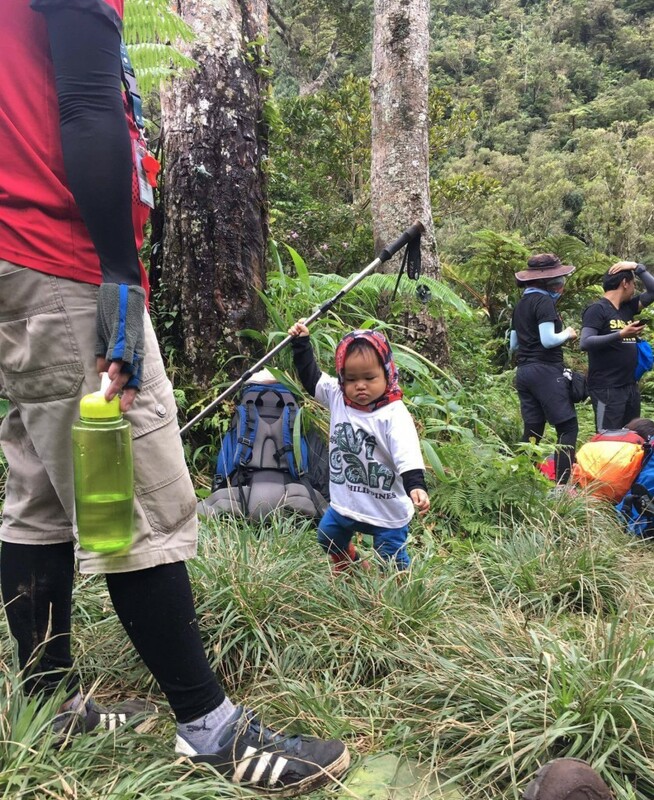 He has also learned to sing the numbers and the alphabet at a young age; he sings these throughout the course of their hike giving a lighter and much more enjoyable note to their hike. Basti’s journey is just starting. He is still young and will come to know and develop more knowledge and experiences as he gets older. He hopes to meet new people, experience new challenges, and develop more skills with each journey. There will be more mountains, cities, beaches, lakes, and falls for him to conquer. But for now, Basti is preparing for another climb on his birth month to Mt. Daat, Mabinay, Negros Oriental on September 20, 2017, and another one to Mt. Pulag and Mt. Sisipan, Sagada on December. We think he’s excited to meet fellow kid hikers along the trail! Special thanks to Nikko Romero for facilitating the publication of this article! 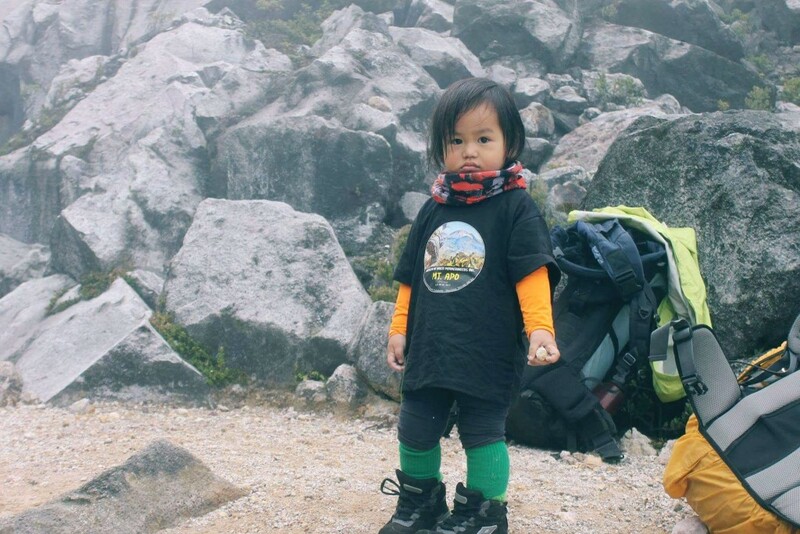 ← Announcing the Pinoy Mountaineer Mt. Fuji Expedition 2018!